Relative Humidity: 80% R.H. without dew Max. Fill Weight: 10gms, To 1000gms. Machine Net Weight : 1500 kgs. We are one of the Leading Manufacturers of Fully Automatic Multi-Head Form Fill Sealing Machine. Filling Systems: 02 Nos. Servo operated auger Filler. 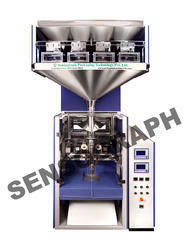 Qualitative range of Vertical Form Filling & Sealing Machines is offered by us to our clients. This range is fully automatic lined carton packing machine and is available in the market at reasonable prices. 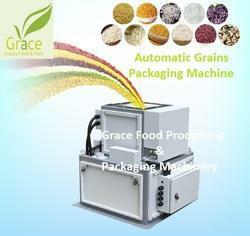 The machines are suitable for packaging all kinds of liquid, semi-liquid and fine granulated food products. 40-45 packets/minute depending on product density and weight to be filled. Single Phase, 230 volts, 50 HZ.